In The Great Game, Moriarty and Sherlock meet face to face for the first time. Moriarty, though his identity is not revealed until the end of the episode, challenges Sherlock to solve a series of crime-related riddles. In each case, a hostage’s life depends on Sherlock solving the puzzle in a specified period of time. This is one of Sherlock Holmes’ best-known quotes. As Sherlock examines the body of Alex Woodbridge, the art gallery security guard who identified the flaw in the “Lost Vermeer,” he makes a lightning-fast series of brilliant deductions, with the conclusion that the Vermeer is a fake. As Lestrade and Watson react with amazement, Sherlock delivers this quintessentially Holmesian line. In a moment of comic relief during a highly dramatic episode, Lestrade and Watson are incredulous that Sherlock does not know this simple fact about the solar system; “primary school stuff,” as Watson says. As viewers, our expectations of Sherlock’s omniscient genius are also challenged. Here, Sherlock justifies his lack of knowledge of the Earth’s orbit. His brain is his hard drive, and like any computer, its capacity is finite. 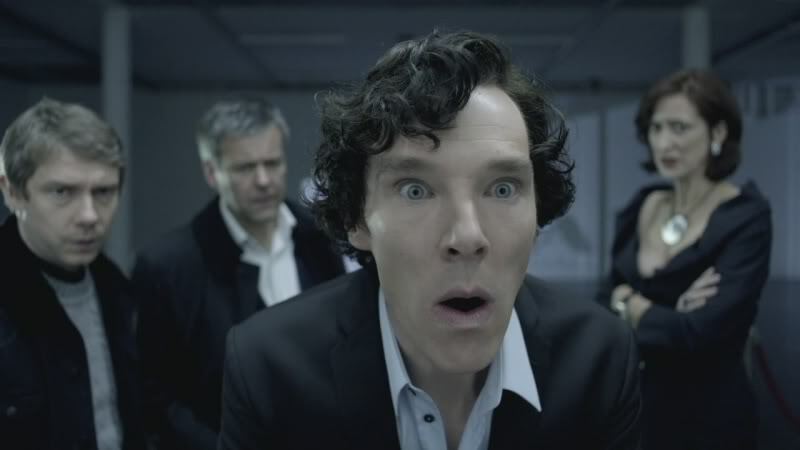 Later in the episode, Sherlock’s knowledge of the Van Buren supernova saves a hostage’s life – making him realise that maybe astronomy is a handy subject to store away in his mind palace. During a tense exchange, John chastises Sherlock for not caring about Moriarty’s hostages. 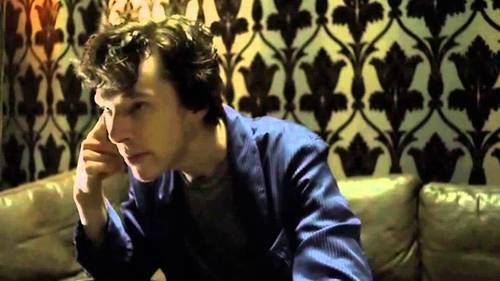 We know that is not true, but often, Sherlock’s focus on solving a case prevents him from showing his emotions. This exchange serves as a stark reminder that Sherlock doesn’t necessarily see things the way the rest of us do. When Sherlock and Moriarty finally meet at the pool, their getting-to-know-you scene crackles with tension. John has been captured and forced to wear a vest of explosives while Sherlock and Moriarty test each other’s resolve to see “the Great Game” through to its conclusion. This scene has so many quotable lines, but this one shows both the extent of Moriarty’s villainy and the lengths to which he will go to win. What are your favourite quotes from “The Great Game”? Leave them in the comments below!